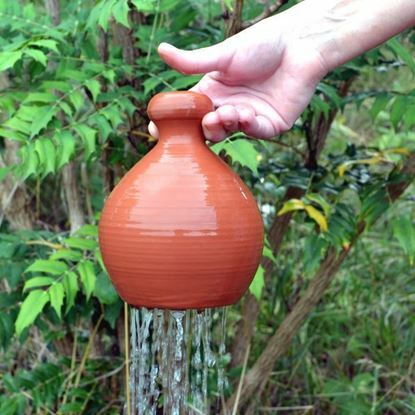 With or without a drainage hole? 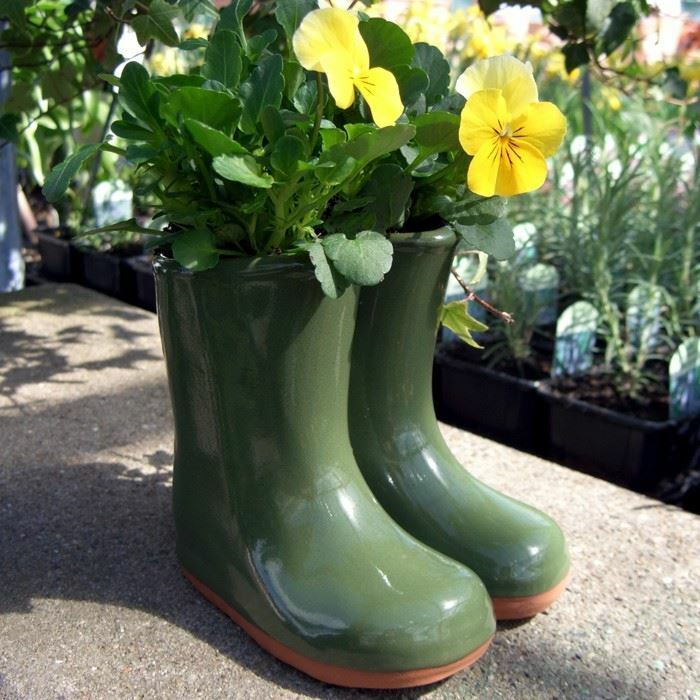 These popular novelty wellies are available in two forms - as a vase (internally glazed without a drainage hole) or as a planter (with drainage hole). 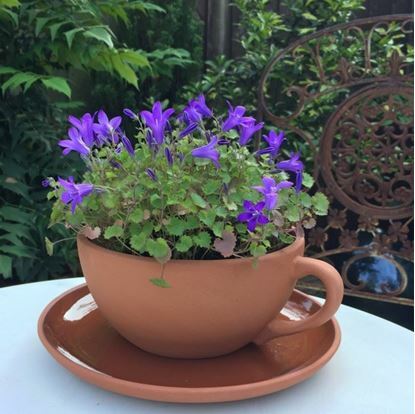 With a Multitude of uses these versatile containers can be used as a vase for flowers or as a plant pot for flowering plants & herbs. 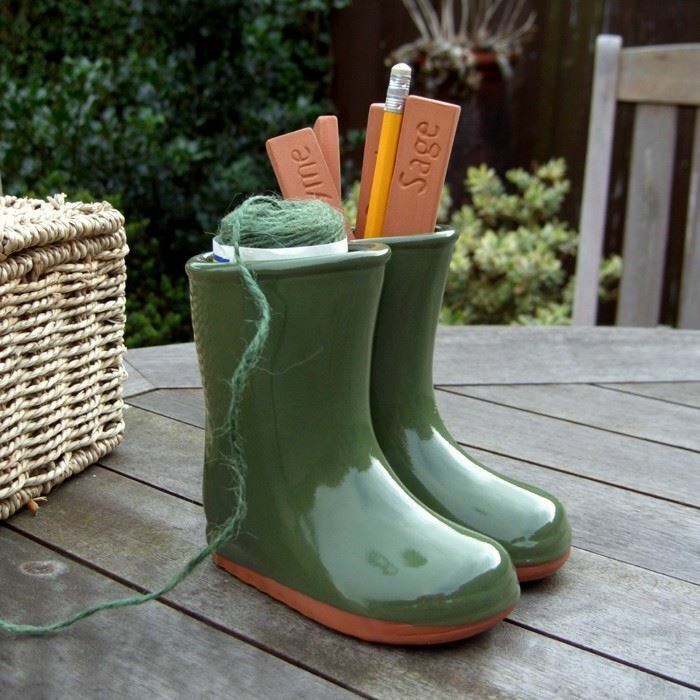 An ideal accessory for any greenhouse or potting shed for storing twine, plant labels, pencils, etc. 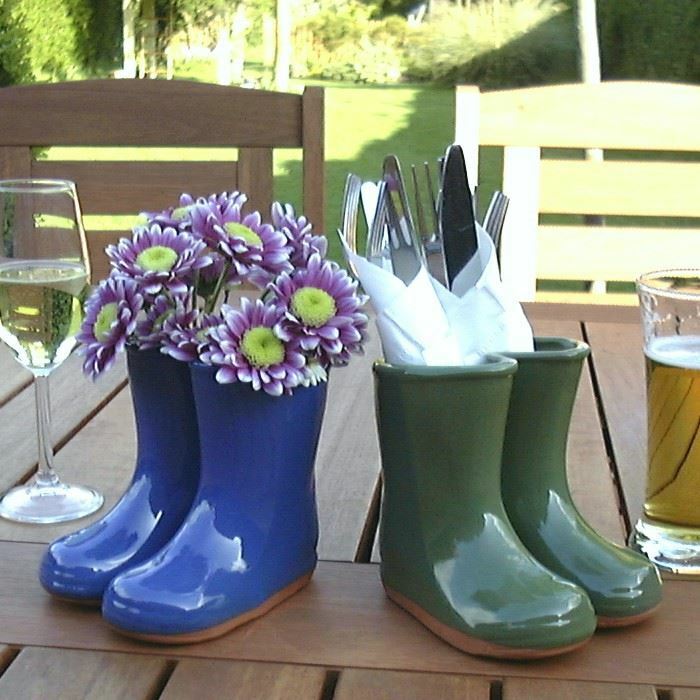 A novel way to present cutlery on the table when entertaining outdoors. 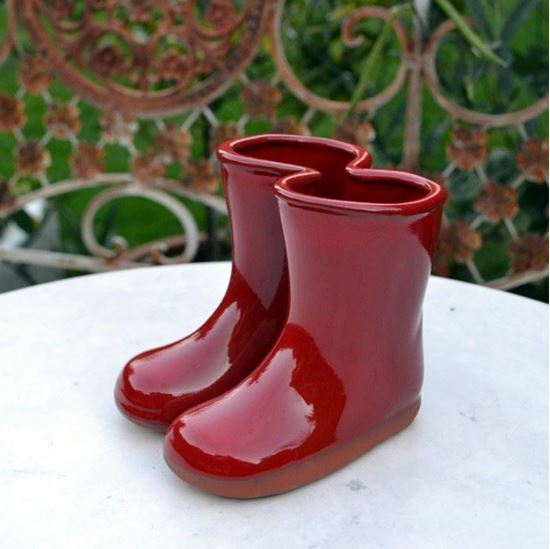 Available in three glazed colours; Red, Blue & Green. 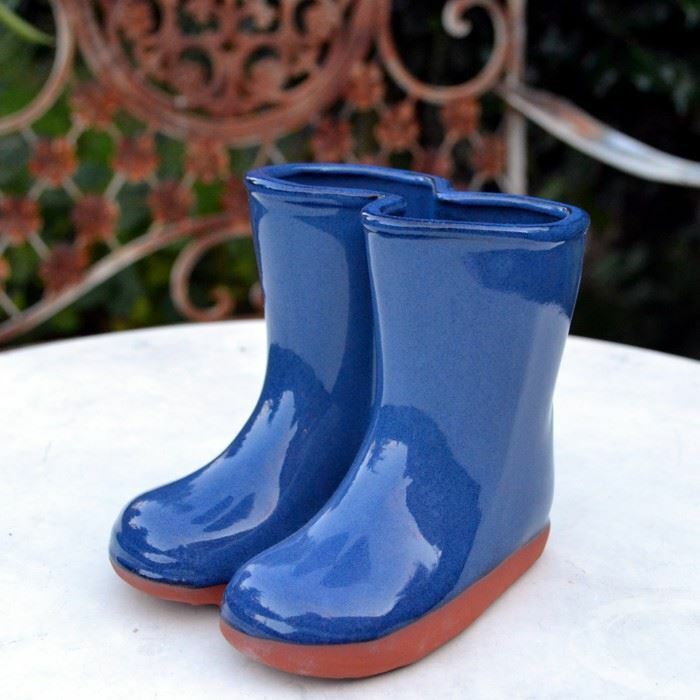 Made in the UK at our pottery studio in Newark, Notts.